In your twenties or thirties? Then to look your best for a big event, you should lay off the wine for a couple of days, go for a long walk, drink plenty of water and get a good night’s sleep. (Unless, that is, you’re a 19-year-old supermodel who manages to look flawless on a diet of ciggies, champagne and all-night clubbing.) There comes a time, however, when no amount of clean living will do the trick. A litre or two of water and a good night’s sleep will no longer plump up your skin nor erase the lines – not fine ones, and definitely not deeper ones. You’ve moved beyond those clichéd “first signs of ageing” that mainstream moisturisers promise to undo. There are women who gracefully accept these inevitable changes, and that’s their choice. It’s not a pretty story, though: Along with the natural loss of bone, flesh and fat, facial features narrow and sag as gravity exerts its downward pull on skin that becomes increasingly thinner, more fragile and less elastic. Quite a few 40- and 50-something women that I know have that sanguine approach (or say they do) – and that’s their right. Good for them! As for the rest of us, we’ll do whatever we can – within reason, and (probably) without recourse to the knife – to continue to look like ourselves for as long as we can. Never say never, but I don’t see myself as a candidate for a surgical facelift. There’s the general anaesthesia, the pain, the long weeks of recovery and, let’s face it, the uncertainty and irreversibility of the outcome. I’m just too risk-averse. 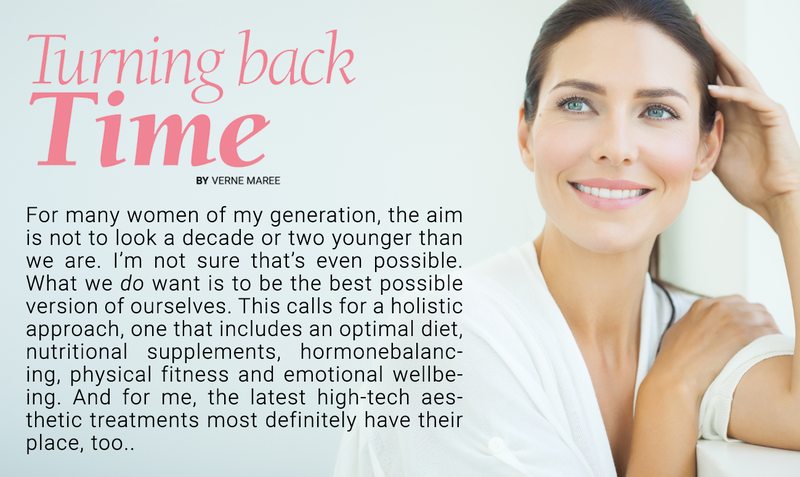 But for those who are willing and able to receive antiageing treatment from an appropriately qualified and ethical doctor, there’s so much that can be done nowadays to slow down the march of time. Over the past 12 years, I’ve had opportunities to experience and review a wide range of anti-ageing treatments. 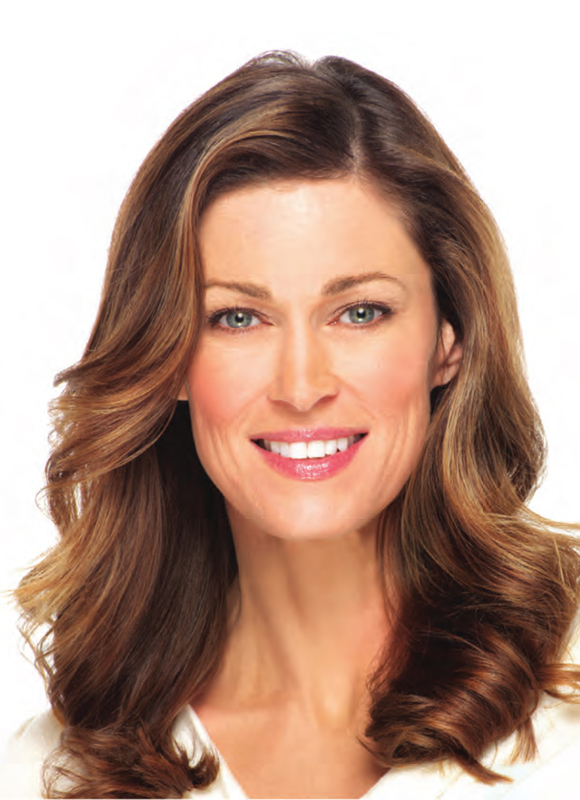 They’ve included IPL (intense pulsed light) sessions to remove pigmentation spots and broken capillaries; various laser technologies that improve skin texture, shrink pores and stimulate collagen growth; radiofrequency (RF) and ultrasound modalities designed to lift and tighten; Botulinum Toxin (or more commonly known as Botox) for smoothing lines; and hyaluronic fillers to restore lost volume. Do they work? Absolutely, but with one caveat – the tool is only as good as the doctor who wields it. Don’t be embarrassed to ask around for a referral, exactly as you’d do if you were looking for a good hair-stylist, estate agent or lawyer. This is your face we’re talking about. Depending on how many years you’ve been reading EL’s beauty pages, you might remember my ongoing complaints about facial sagging and the depressing development of jowls – something that neither fillers, Botox nor lasers can do anything about. Well, since I tried the new and improved version of Ulthera skin-tightening technology, the whining has fi nally stopped. DR SYLVIA RAMIREZ, Medical and Scientifi c Director of Cutis Laser Clinics, explains how and why it works so well. Some years ago, when I tried the previous version of Ulthera, it was frankly unbearable. And when the patient can’t take the pain, all the doctor can do is to reduce the strength of the treatment or to cut it short; either way, you’re unlikely to get the full effect. So, what’s changed? For one thing, says Dr Sylvia, the new Ulthera works at a much lower temperature – 65 degrees Centigrade, compared with the previous 95 degrees. That makes it far more comfortable, and means she is able to deliver a whopping 660 transducer lines of ultrasound in a session that lasts anywhere from 45 minutes to an hour. “Research shows that the number of transducer lines is critical in delivering the desired results,” she adds, “and that’s why we strictly follow the manufacturer’s guidelines for the number of transducer lines for any particular area.” From my own experience with ultrasound-based treatments, it’s clearly important for the best outcome that you get a full session. This is one of the questions to ask when you’re shopping around! Crucial to the effectiveness of ultherapy is how deep the treatment goes. Ulthera reaches not only the dermis and the deep dermis levels, but also the SMAS beneath them – you’ll understand why they use the acronym when you hear that it stands for “superficial musculo-aponeurotic system”! And that’s the real beauty of Ulthera, says Dr Sylvia – other ultrasound therapies don’t penetrate as deep. For her, it stands out from a broad variety of non-invasive anti-ageing treatments such as Thermage, ReFirm and Accent. Located deep within the skin and subcutaneous tissue, the SMAS is a layer of strong connective tissue that envelopes the face and connects to the platysma muscle in the neck. It’s one of the most important support structures of the face – in fact, it’s the level at which some of the best plastic surgery facelifts are done. 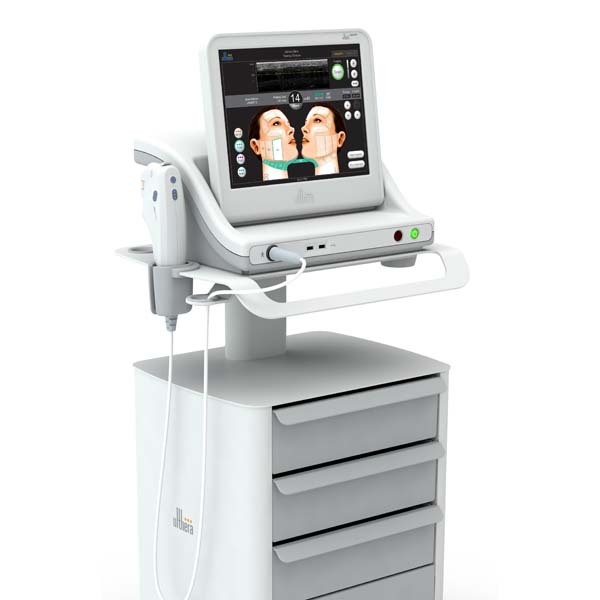 Ulthera safely delivers focused ultrasound energy to deep layers of the skin – the level typically addressed by cosmetic surgeons – that jumpstarts a natural process, known as neocollagenesis, to produce fresh, new collagen, resulting in a clinically significant lift of tissue over two to three months. It’s the only non-invasive way to lift the brow, neck and under-chin area that is FDA-approved, has the European CE mark and has no downtime. Now, it’s also specifically FDA-cleared to treat the décolletage, too. You need only a single treatment and, unlike a surgical facelift, the results are completely natural. Though you may see some immediate initial tightening, it takes two to three months or longer to see the full effect. Tolerance levels vary among different people, and can even be different for the same person at different times. But the Cutis team have a few tricks up their sleeves to distract you from the discomfort of the process: they massage your hands and feet, they chat to you, they make you laugh. Typically, the doctor will do two rounds over the treatment area. The first is done at a depth of 4.5mm, into the SMAS. The closer she gets to the bone – particularly the jawbone – the more you feel it. The second penetrates to a depth of 3mm, into the deep dermis, also treating the superficial dermis at a depth of 1.5mm. For a treatment that’s so far-reaching and so effective, the aftermath is mild. Superficially, you can expect minimal redness that typically disappears within a couple of hours. For someone with thin, fair Caucasian skin like mine, some light bruising might appear on the jawline. You can also expect the jaw to feel tender to the touch for several days. Effective as Ulthera is for tightening and lifting the face, there are several other complementary technologies that can work to enhance and refine its rejuvenating outcome. Titan is an infrared device to stimulate collagen production in the deeper layers of the skin (but less deep than those reached by Ulthera). There’s no downtime at all, and it’s so comfortable and pleasant that you might just nod off. Fillers can provide an immediately visible and highly effective solution to sagging and laxity. “A big part of facial ageing is volume loss, not only from the fat pads around the eyes, but also from bone loss in the zygomatic arch,” says Dr Sylvia – “and with less support for the fat pads in the nasolabial and jowl areas, they drop.” Fillers like Juvederm can be skilfully injected to rebuild these diminished structures and restore a more youthful lift. *First published in Expat Living August 2017.